The UPSC board describes the standard IAS Exam Syllabus. At Elite IAS, we have presented the UPSC Syllabus for Prelims and Mains Exam. The IAS aspirants should go through the syllabus in detail before starting with preparation. Moreover, the UPSC revises the syllabus on a yearly basis. The civil services exam has three consecutive stages. The IAS Exam Syllabus is huge. As a result, the candidates must check the syllabus with caution. Elite IAS understands the importance and has put an extra effort into helping you with better preparation. 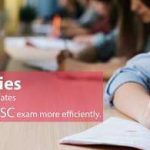 Here is the list of detailed UPSC prelims syllabus that helps you to attain success. Two papers of the prelims exam have a total of 200 marks. The candidates appearing for the exam will get 2 hours duration. In prelims stage, paper 2 is a qualifying paper. 33 percent is the minimum score to be obtained by every candidate. On the other hand, the marks obtained in paper 1 is taken into consideration for the final ranking. All the questions are objective type and have multiple choice. The attendance to both the papers is compulsory. Failing to attend, the candidates are considered as disqualified. Paper 1 and paper 2 IAS Exam syllabus is as follows. Indian Polity & Governance Constitution, Panchayati Raj, Rights Issues, Political System, Public Policy. Environmental Studies General issues of environmental ecology, Climate change, Biodiversity. Subject specialization is not necessary. Basic Numeracy Number relations, orders of magnitude, data interpretation from charts, tables, graphs, data sufficiency. In the mains exam stage, the board examines the candidate’s complete intellectual traits. Every IAS aspirant must understand the subject in depth. Mugging up the information will not help in getting better scores. Commonly, the general studies paper (from paper 2 to paper 5) do not require specialized preparation. The well-educated person can easily answer without in-depth subject study. The questions are structured to test the candidate’s awareness of the subject on a general basis. In turn, these questions from IAS Exam syllabus are related to the civil services career. How well has the candidate understood the current issues? Does he or she have the ability to analyze the situation? Grasp the ability to understand the socio-economic conflicting issues. Being an aspiring candidate, he or she must primarily focus on UPSC Syllabus. Consequently, the candidates can give meaningful and relevant answers. In the case of optional subjects, the syllabus is one level higher than the bachelor’s degree. On the other hand, the syllabus standard is below the master’s degree. Here is the IAS Exam syllabus as per the UPSC scheme. According to UPSC Exam Syllabus, the paper one has essay type subjective questions. It is surely not an objective type question. The questions examine the writing skills of IAS candidate. The marks obtained in Paper I to Paper VII affects final IAS ranking. All the candidates must answer the Paper I questions in English only. The questions appear for the total marks of 250 in Paper I. The IAS Exam Syllabus mentions that the candidate must write essays on various topics. The panel members expect the candidate to answer the essay concisely. Good marks in essay demand an effective and expressive answer. Focus on UPSC Syllabus under the language section while practicing essays. Paper II has questions about Indian Heritage and Culture. It also asks about History & Geography of the world as well as society. The questions are objective type with multiple choice. Paper II has a total of 250 marks based on IAS Exam Syllabus. It is known as General Studies Paper I of IAS mains exam. History Of World Events from the 18th century, Industrial revolution, redrawal of national boundaries, world wars, colonization, decolonization, and political philosophies such as capitalism, socialism, and communism. Their effect on society. Indian Society Salient features of Indian diversity and society. Role Of Women in India Importance of Women’s organization, populations & associated issues, developmental issues, and poverty. Urbanization, problems faced, & their remedies. World Geography World’s physical geography salient features. Natural Resources Distribution of all the key natural resources all over the world. It includes Indian sub-continent and South Asia. Factors responsible for the presence of primary, secondary & tertiary industry sectors in several parts of the world. It includes India too. Geophysical Phenomena Phenomena like Tsunami, earthquakes, cyclone, volcanic activity, many more. Geographical features, Location changes in critical geographical features like ice caps and water bodies, flora & fauna, consequences of such changes. The paper III has questions about Governance and Constitution. It also asks about Polity, international relations, and social justice. The questions are objective type with multiple choice. The Paper III has a total of 250 marks based on IAS Exam Syllabus. It is known as General Studies Paper II of IAS mains exam. Indian Constitution Basic Structure, Significant Provisions, Historical, Underpinnings, Evolution, Amendments and Features. Functions & Responsibilities of Union and States Challenges pertaining to the devolution of powers, issues, and challenges faced by federal structure, and finances up to local level. Separation Of Powers Separating powers between the various organs, institutions and redressal mechanisms. Indian Constitutional Scheme Comparing the Indian Constitutional Scheme with other Countries. Parliament & State Legislatures Issues arising due to the Conduct of Business, Powers and Privileges, Functioning and Structure of the Parliament and its State Legislatures. Ministries and Departments of Government Functioning, Structure, and Organization of the Executive and Judiciary. Also, the role of Pressure groups & Formal/Informal associations. Appointment to Different Constitutional Posts Appointing different functions, powers, posts, and responsibilities of different constitutional bodies. Quasi-Judicial Bodies Regulatory & Statutory measures, Different Quasi – Judicial Bodies. Government Policies Issues arising due to design and implementation, the intervention of development in various sectors by the government policies. Development Processes & Development Industry The role of NGO’s, SHG’s, donors, stakeholders, associations and other groups in the development process. Welfare Schemes Schemes for protecting the betterment of vulnerable sections based by the population such as mechanisms, schemes, laws, governing institutions. Social Service Issues Issues related to the development and management of the social service sector which relates to Human Resource, Education and Healthcare. Important Aspects Of the Governance Important aspects based upon the transparency, governance, and accountability of applications, models, success, citizens charters, accountability, and their other measures. Role of Civil Services Features of Civil Services in Democracy. India and Neighborhood Relations The relation between India and its neighboring countries. Groupings and Agreements Global, Regional or Bilateral groupings; Agreements which can conflict interests between India and its neighbors. Effect of Policies The role of policy and politics by the developing countries on India’s interest and Indian diaspora. Salient International Institutions The important International institutions, agencies and their mandate structure. The paper IV has questions about Technology and Economic Development. It also asks about biodiversity, security & disaster management, and the environment. The questions are objective type with multiple choice. The Paper IV has a total of 250 marks based on IAS Exam Syllabus. It is known as General Studies Paper III of IAS mains exam. Indian Economy Issues pertaining to planning and mobilization of employment, growth, development, and resources; Government Budgeting. Major Crops and Cropping Pattern Different types of irrigation & irrigational storing systems, issues related to the mode of transport and marketing of agricultural products. Usage of e-technology and its benefit to farmers. Public Distribution System Issues related to the direct and indirect minimum support price and farm subsidies; Objective, functioning, revamping and limitations of Public Distribution System; problems of Buffer stocks and Food Security; Animal Rearing, technology mission and economics. Food Processing Scope and Significance of Food Processing and its related industries. Location Upstream and Downstream requirements; Supply Chain Management. Science and Technology Applications and Development of Science in everyday life. Achievements of Indians The role of Indians in developing new technology, achievements, and indigenization. Awareness in Technology fields Issues related to Intellectual Property Rights and awareness in the fields of Robotics, Nanotechnology, Bio-Technology, and Space. Conservation of Environment Assessment of Environmental Hazards, Pollution, and degradation. Environment Disaster Types of Disaster and Combating of Disasters. Extremism The linkage between the development and spread of its extremism. Internal Security and its challenges The challenges faced by internal security through communication, social networking sites, and preventive measures of money laundering; Security challenges faced by border areas, organized terrorism crimes and the role of various security forces. The paper V has questions about ethics. It also asks about Integrity and aptitude. The questions are objective type with multiple choice. The Paper V has a total of 250 marks based on UPSC Exam Syllabus. It is known as General Studies Paper IV of IAS mains exam. The questions in this paper tests the candidate’s way of approach to integrity in public life. How can he or she approach the conflicts and issues while dealing with society? As a result, questions can be case-study based. The broad areas covered in the UPSC Syllabus is below. Ethics & Human Interface Consequences, determinants, and essence of Human behavior on ethics. Preaching the lessons of lives by moral leaders, reformers and administrators. Role of society, educational institutions to inculcate core human values. Attitude The influence of attitude such as content, structure, and thought function behavior. The attitude of moral and political influencers. Aptitude & Foundational Values Promoting dedication to public service, Foundational values for civil service. Integrity, impartiality, empathy, tolerance, and compassion towards the weaker section of society. Emotional Intelligence The contribution of moral thinkers, philosophers from India & World. Public or Civil Service Values – Ethics in the Public Administration Dilemmas and ethical concerns in government and private institutions. Rules and regulations, laws pertaining to ethical guidance, strengthening of moral and ethical values, ethical issues in funding and international regulations; Corporate Governance; Status and Problems of Public Administration and Civil Services. Case Studies in all the above issues The detailed case study of above-listed issues. If a candidate successfully clears the mains exam with a good score, he/she is called for a final interview. The maximum marks allotted to this round is 275. UPSC board panel members test the overall suitability of the appearing candidate. There is no particular UPSC Exam Syllabus for an interview. However, here is the list of things you should learn about. Based on the details in the application form, the interviewer asks questions to test the candidate’s morality, mental alertness, and reasoning ability. Candidates are not only tested from academic study syllabus. In turn, they must learn about the current affairs happening in and around the state they live.